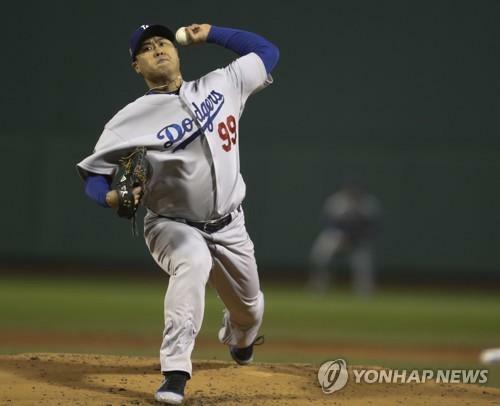 SEOUL, Nov. 13 (Yonhap) — South Korean free agent pitcher Ryu Hyun-jin has accepted the qualifying offer from the Los Angeles Dodgers, opting to stay with the club for one more year after six seasons together instead of testing the open market. The Major League Baseball Players Association (MLBPA) said Monday (local time) that Ryu decided to accept the one-year offer worth US$17.9 million — the mean salary of the 125 highest-paid players. The deadline to accept or reject the offer fell at 5 p.m. (Eastern Standard Time) Monday, or 7 a.m. Tuesday in Seoul. Ryu was the only one of seven players who received the qualifying offer to accept it this year, and the sixth out of 80 to do so since the qualifying offer system was introduced in 2012. Ryu has played for the Dodgers since 2013 on a six-year, $36 million contract, following seven outstanding seasons in the Korea Baseball Organization (KBO) with the Hanwha Eagles. Ryu was the first South Korean player to make the jump from the KBO to the majors via posting. Ryu had an up-and-down postseason. He started Game 1 of the National League Division Series (NLDS) against the Atlanta Braves and struck out eight over seven shutout innings in the Dodgers’ 6-0 victory. But Ryu had a couple of mediocre outings in the NL Championship Series (NLCS) against the Milwaukee Brewers, allowing seven earned runs in 7 1/3 innings combined. Ryu made history by becoming the first South Korean to start a World Series game when he went up against the Boston Red Sox at Fenway Park in Game 2. He was the losing pitcher in the Dodgers’ 4-2 defeat after getting charged with four earned runs in 4 2/3 innings. 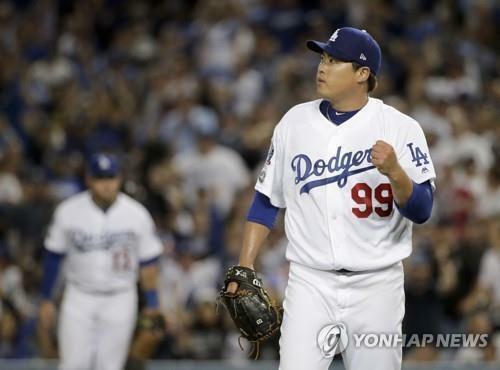 Ryu never had another chance to start, as the Dodgers bowed out in five games. And by accepting this offer, Ryu bet on himself that he can have another strong season in 2019 and increase his value before hitting the open market next winter.